Next time your waiter brings you that side of fries, how do you know she hasn’t coughed a nasty stomach virus onto it? Who can a busboy talk to about having his wages stolen from him? When a line cook leaves work, does he have a place to call home? Earlier this month, Restaurant Opportunities Centers United (ROC-United) released the first annual National Diners’ Guide. This Zagat-like list of restaurants includes, among others, the 150 highest grossing restaurants in the United States. It scores each eatery on treatment of workers, including paid sick leave and livable wages (that employers refrain from stealing). 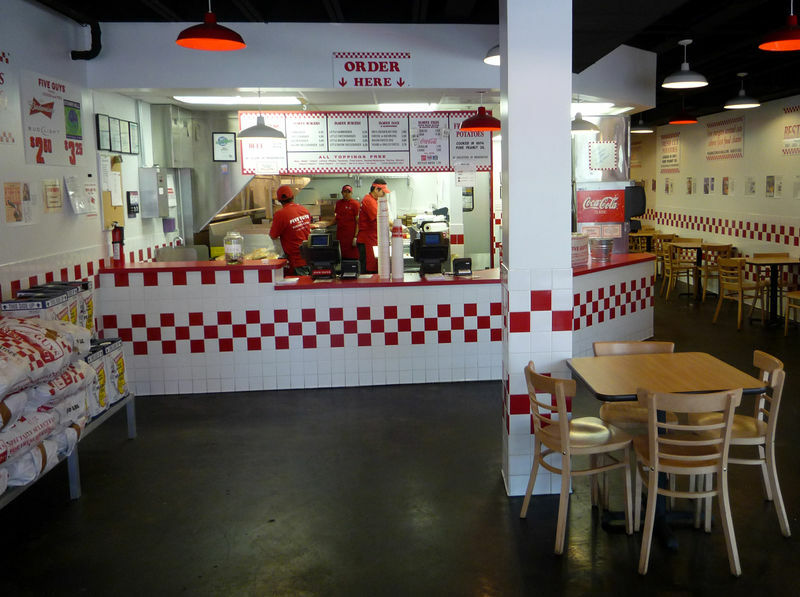 Some highlights: Five Guys won a gold prize for treatment of workers and In-N-Out won silver. No such luck for Red Lobster, Olive Garden and Longhorn Steakhouse – workers from these restaurants have sought ROC’s help regarding wage theft and other discriminatory practices. According to ROC-United staff at the guide’s launch, homelessness is fairly common for restaurant workers. With wage theft and even forced labor plaguing the food industry, it shouldn’t surprise us that many cooks and even servers can’t make ends meet. In addition, a lack of paid sick leave means workers feel forced to come in despite health risks. Across America, ROC-United surveyed cooks, servers and other staff members who admitted they came to work while vomiting because of their fear of missing a day’s wages. This is not just an effort to show compassion for the people who make your dinner; it’s a health and safety campaign. Care for restaurant workers may appeal to you because you don’t like that the person who made your anniversary dinner is homeless and having her wages stolen. It may appeal to you because that same person possibly sneezed some sort of wretched nastiness onto your anniversary steak. Either way, I hope we can be more like Andy Shallal, founder of Busboys & Poets in DC and host of the ROC Diners’ Guide launch earlier this month. After an amazing breakfast that included homemade fluffy biscuits and cranberry butter, he invited his entire staff into the dining room. One by one a surprisingly huge team made their way out of the kitchen and stood by the buffet while Shallal led us in applause. I wish we gave that kind of respect more often for everyone who serves us life-giving food: moms, farmers, chefs, servers, and every forgotten line cook who worries about keeping his health and home. I reported the DC area winners for WeLoveDC.com. Check out your own area’s biggest winners by getting a copy of the guide via free PDF. And have your favorite restaurant get into next years’ guide by contacting ROC.